A Bitcoin IRA is a retirement account that, in essence, works just like any other retirement account. You, as the account holder, make regular contributions into the account, which is then used to make an investment in a vehicle with significantly large potential to grow in value over time, helping you grow your retirement savings at a much faster pace than a savings account or burying your money in the backyard. Additionally, your contributions are tax advantaged, meaning that you receive tax benefits on the money that you save in your retirement account as well as on your earnings. 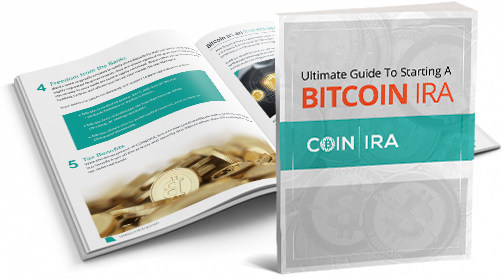 The main difference between a Bitcoin IRA and say a traditional or Roth IRA is that rather than investing in stocks or bonds, you are investing in Bitcoins. Bitcoins are a digital currency. As such, it’s neither printed like dollar bills, nor minted like coins. No institution or bank holds sway over it. However, thanks to technological advancements, this new currency can be used in thousands of merchant locations all over the world. And, the number of merchants that accept Bitcoin at the point of sale is increasing daily. What makes Bitcoin a great investment option over other currencies? The answer is relatively simple. Bitcoins, unlike every other currency in the world, are not dependent on the U.S. Dollar for their value. As a matter of fact, they are the only currency currently in use that has a value completely independent of the dollar. This means that it makes a great hedge against inflation when the dollar weakens in the global economy. Sound good? In order to invest in Bitcoin, all you have to do is contact us and we will help you with the process from A-Z. You still have to be 59 ½ to be able to access the funds in your IRA without having to pay an early withdrawal fee. However, under certain circumstances, you may be able to make one time withdrawals penalty-free. This include making a qualified home purchase by a first time homebuyer or paying for higher education. You will have to pay taxes on your investment gains upon distribution, just as with other types of retirement accounts. However, you will not have to pay taxes on your contributions as these will be subject to income taxes prior to deposit. This can lower your tax burden as current taxes are more likely to be lower than future taxes. If you have any questions, or are ready to get started, contact us today!